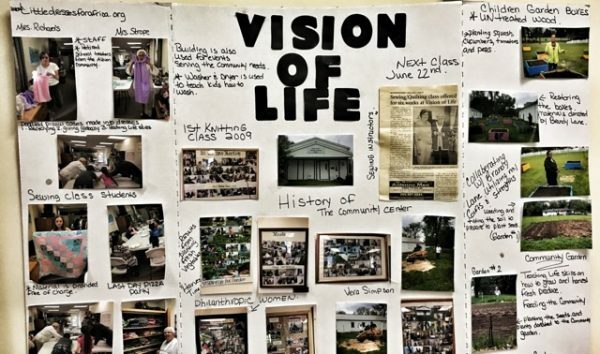 In 1999, Vera Simpson, founder of Vision of Life Community Center, decided to put her faith into action. As an active community member of Albion and a secretary for Albion Community Schools for nearly 30 years, Simpson thought that she was able to do more. Her vision started to build its way into the world in 2004 with the purchase of a run-down property on the west side of Albion. 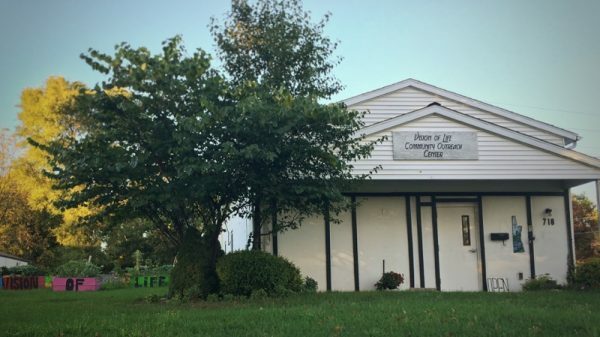 Starting with $400 to put toward the idea of a community center, Simpson eventually received enough money to purchase the land that the Vision of Life Community Center stands on today. Simpson wanted to create a place where her community could congregate, a place where a person of any background could come and spend time improving an aspect of their life. 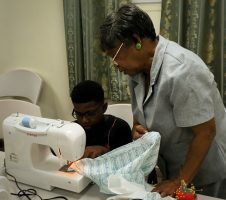 Her vision was to provide a place where people could come and learn new skills to prepare themselves for the world, something she wished was available for her growing up. Simpson has made it a point to provide skills to any child or adult that walks through her door at the Vision of Life Center. In fact, she has taken ceramics courses all the way to mechanics courses in order to prepare herself to help others. 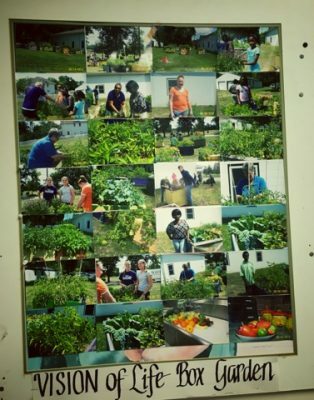 Past youth classes have consisted of sewing, crocheting, and knitting, along with learning how to plant, grow, and cook produce from the box garden located right outside the community center building. Each summer, there is a several-week course dedicated to reading, where reading skills are enhanced through a book club. She also has offered help to people with physical and mental disabilities, showing them that even with limits they can still perform skills to contribute to society. Simpson gives some of her time to visit correction centers and jails where she helps reintroduce prisoners back into society. While providing access to materials to improve life skills she also builds up confidence in all the people she helps. 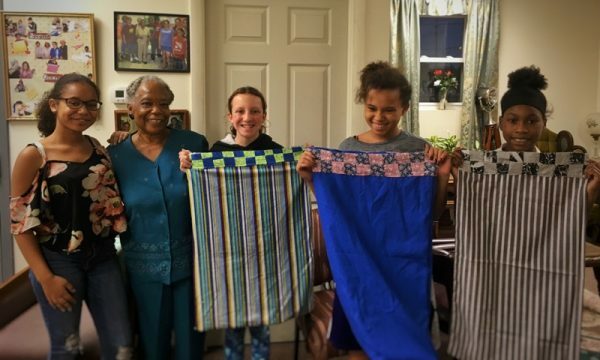 She doesn’t just give them access to a new skill, like sewing or producing food, but encourages them to use it. 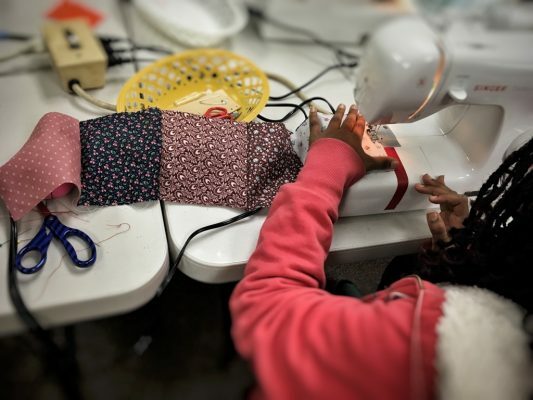 Thursday Oct. 25 will wrap up a course in sewing. These courses are open to any student eight years and older. 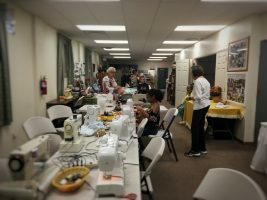 Retired educators Pam Strope and Gloria Richards, are instructors for most of the sewing classes at the Vision of Life Center. All three —Simpson, Strope and Richards — had the chance to work together through Albion Community Schools before they retired. Still loving to work with children and teach them life-long skills, they volunteer their time at the Community Center. “Vera is the one who opened it up and made it real,” said Strope. With the building in shambles, Simpson dedicated all her time towards renovating it, her new hobby. She gives much credit to Dan McQuown, past Albion College Chaplain, and his drive to encourage college students to volunteer in their community. “McQuown brought kids from all over. They came and worked on a Sunday, even in the rain,” she said. Simpson had never met McQuown before the day he volunteered to help. She described him as a message from her Lord. With limited funds, the setbacks in certain moments weren’t easy to overcome. With faith, however, Simpson held on for a blessing. In this case, one donation after another seemed to come in just when the Center needed it. One day in 2004, following a Bible study, she was surprised with a visit from three of her school coworkers. They had come to donate money towards her idea of a community center. “You would never guess what the donation was. It was $9,500! And I started screaming and screaming, running up and down the hall,” Simpson exclaimed. Being raised down south, in Alabama, working on cotton fields for merely 15 cents an hour, Simpson said, would have never added up to that kind of money. “If you had $100, you thought you were rich,” said Simpson. With new walls, windows, and doors, the Community Center was off to a start. But Simpson’s vision didn’t stop there. Simpson said that while growing up, all she ever knew was her Lord and attending church. 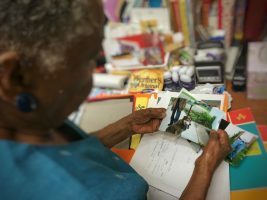 While she admits to having matured over the years — she’s now 86 years old — she still keeps faith with how the Lord gives her something to do. While Simpson’s vision is a story she hopes to one day put down in a book so that the Lord’s miracles can be read by others, she offered bits of her journey. Once an unknown man called her on the phone and said that he was going to donate $4,000 to the Vision of Life. Simpson, thinking it was a joke, was dumbfounded two weeks later when the check came in the mail. After writing a thank-you letter to the name upon the check and inviting the man up for a visit to see where his money was going, she discovered a month later, while reading the newspaper, that the man had died. A destroyed building, a dog and a snake were three objects that Simpson thought of as visual signs she encountered during her journey. The building was her pull to start the community center, while the dog represented that she would be working with people with physical and mental disabilities. The snake was a sign of future trouble, but also a reminder that she was not alone, for the Lord was always with her. Simpson had her doubts and hesitations along the way. She had always asked her Lord why he was using her to reach out and do such a task. As a young African American woman in the south, Simpson said she was not taught the skills it took to succeed, just enough to live and get by. “Through life I am not qualified,” Simpson said, “but he kept saying you are qualified. ‘Don’t worry about all the degrees and labels you don’t have, for I will be with you. I am your friend and I have everything,’” she said she heard the Lord say. Due to this faith, and her perseverance to complete the task her Lord had laid out for her, Simpson brought the Vision of Life Community Center to what it is today. “The last verse he gave me really told me off,” Simpson explained. “I am the Lord; that is my name!’ I knew then that I had to share my mind,” Simpson said. This article was added to the “Albionite Series” collection after its publication. 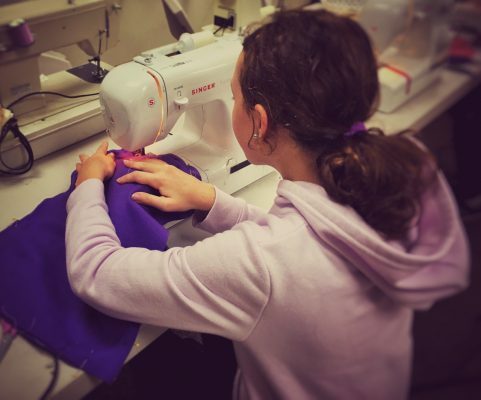 The series is a joint project between the Albion Pleiad, the Albion Recorder and Albion College students that seeks to share the stories of Albion residents. Other articles can be found by clicking the “Albionite Series” category at the top of the page. What an inspiring story. Thank you for sharing this.